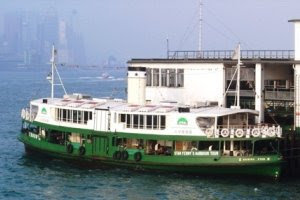 is one of the most important Hong Kong transportations for locals and visitors. It takes passengers from Central or Wanchai to Tsimshatsui. Its upper deck costs only HK$2.2 (US$0.28). Star Ferry is cheap, but it is great. The five-minute ride between Central and Tsimshatsui is the best way to view the Hong Kong skyline and the world-famous Victoria Harbour. The view on board is extremely stunning especially at night. Locals like me always make excuses to ride on Star Ferry, only for the view. Star Ferry is a famous place in Hong Kong. Hence taxi drivers all know. But please specify which Star Ferry you are going to (e.g. Wanchai, or Central), as there are two piers on Hong Kong side and two on Kowloon side. The route connecting Central and Tsimshashui is highly recommended. Not only it is cheap, it also offers the best views of Hong Kong and the Victoria Harbour. Also Central and Tsimshatsui are both connected to major tourist spots in Hong Kong. Have fun. Mark this is a ‘must’ for your Hong Kong travel. If you want to stay close to water and enjoy the harbour breeze, please go on the lower deck. However you would have to put up with a bit of noise, as the engine room is there. thanks. im going to hk. now i know much more about star ferry in hk. really appreciate your blog.